-Recitherapy: Pico de Gallo . . . from nothin' ! Pico de Gallo . . . from nothin' ! So what do you make when you've got leftover corn from tuna salad, half of a caramelized onion and one lonesome roma tomato? Pico de Gallo! 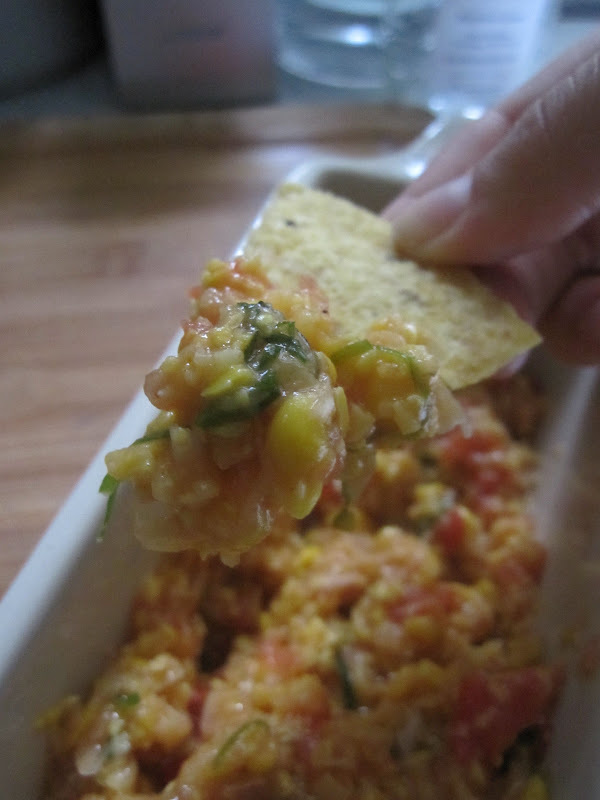 Toss the bits in your food processor, blender or Vitamix and PULSE until you're left with chunky salsa. 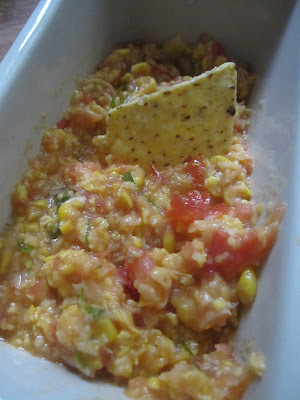 Pico is meant to have a little texture, so don't puree this stuff, especially if you're throwing in a little corn. You want to have something to chomp! I used: corn, onion, fresh jalapeno (seeds removed), chives, tomato and lots of lime juice. What do you do when you've eaten your fill of this awesome pico, but you don't really want to save it because there's not really enough to generously serve to anyone else...? 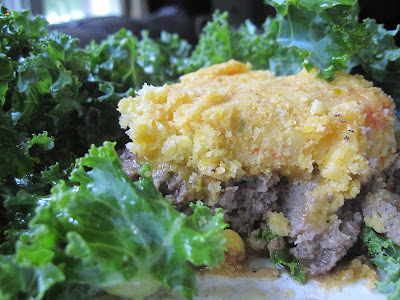 Toss it in some corn muffins and have "southwestern-y" corn muffins! Get creative! What else do you have in your fridge that you can add to your fresh, zesty corn muffins to make a great dinner out of? 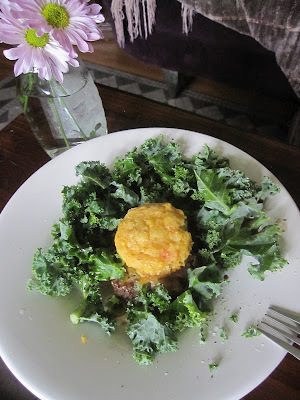 For me, it was that awesome appetizer of pico de gallo and an entree of a fresh cheeseburger, served with a TON of olive oil and balsamic kale, topped with my pretty, yellow, hot out of the oven corn muffin. Happy Cooking Creativity Tuesday to you all and I'll see you tomorrow!